So is it the right phone for the job? In a word, yes -- the Epic 4G is a great device. Killer, even. Nothing speaks to us more strongly during the course of a review than finishing it and saying, "alright, I'm ready to buy this thing," and the Epic is on the short list of phones that has managed to do it. More than its Galaxy S siblings, it feels like the Epic has overcome its shortcomings -- notably the forgettable UI skin -- to shine, and it's a phone we could easily imagine using day to day. Only thing is, the EVO is also on that short list for us -- and the better camera, bigger screen, and $50 savings versus the Epic still make it our winner in this 4G shootout, though only by the thinnest of margins. Needless to say, if you need a physical keyboard and you're looking for the one of the most musclebound Android phones money can buy, we wouldn't hesitate to recommend it. 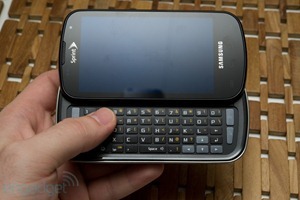 In a sentence (or two): the Galaxy S is a solid contender, even compared to the EVO. However, if you don't need a keyboard, it's Chris's opinion that you may be better off just sticking with the EVO - by a slim margin. Also, as an interesting aside: the stock Epic running 2.1 scores around a 7.9 on Linpack; by comparison, the stock EVO running 2.1 scored around 6.2. Samsung is definitely onto something with the Hummingbird. Giz's Jason Chen took a similar stance, coming away hugely impressed with the Epic. The key word there is similar - while they both come away impressed, Jason was even more so. When you compare the Epic to the EVO, the Epic is the clear winner. Whether it's the slide-out keyboard, better screen, longer battery life or Swype built in, there are plenty of reasons to choose this phone instead. 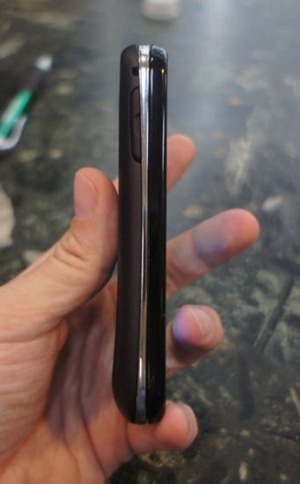 Placed aside the other Galaxy S phones, the Epic still comes out ahead. It's the only one of the four that has 4G, the only one with a camera flash and the only one that has the slide-out keyboard. Most everything else across all four carriers are the same, except for small details in pricing and data plans. But when you're trying to decide between three skinny brothers and a stronger (but fatter) fourth brother, it's clear what the choice is. Not only does he think it's the best of the Galaxy S line, but he thinks it's even better than the EVO, which itself is considered to be an excellent device. Impressive. Note by Artem: the crossed out "camera flash" part above is taken directly from the review. I guess Jason realized too late that the Fascinate also has a flash, which we covered in our post-Galaxy S event launch FAQ. Tastes differ, but we feel pretty confident in calling the Samsung Epic 4G the best smartphone on the Sprint network today. That success is primarily the sum of the brilliant Super AMOLED display, excellent keyboard and speedy WiMAX connectivity. The compromise is TouchWiz, and we wish Samsung would concede that not everyone appreciates its skin and offer a way to return to the native Android UI. If you can live with it, you’ll have a highly capable, flexible and media-rich handset, albeit one slightly on the back foot when it comes to the latest build of Google’s OS. Still, that’s a common complaint among the variously modified devices on the market right now. 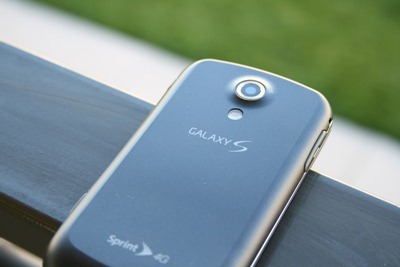 Out of the box, Sprint’s Epic 4G does everything we could ask of it, with the growing space to keep up with whatever Android – and the legion of third-party developers – might have round the corner. Place your pre-order now, people; the Epic 4G is likely to be just as popular as it deserves to be. The takeaway: an excellent device, better even than the EVO. 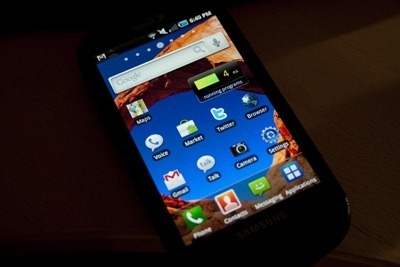 In fact, the only downside seems to be the custom UI (TouchWiz) - a pretty minor issue, all things considered. PC Mag's Sascha Segan came away impressed as well (I'm starting to feel like a broken record, here...) but his final opinion is more in line with Chris's. 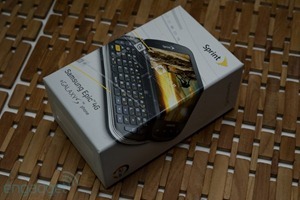 At $349 minus a $100 mail-in rebate (or $249 at Radio Shack and Best Buy), the Epic 4G costs $50 more than the HTC EVO 4G for Sprint. But since the two-year service contract for either phone costs at least $1,920, a $50 difference in price actually doesn't matter much. Avid mobile gamers and people with a lot of their own video files will want to go with the Epic for its powerful Hummingbird GPU and great codec support; YouTube aficionados will go with the EVO. The real difference is the keyboard. If you want to type your messages, surf the Web, and play your games with little buttons that go "click," the Epic is your phone. Segan clearly shares the opinion that the Epic is a fantastic device - enough so that it scores an Editors' Choice award. Segan seems to side with Chris in that he doesn't necessarily think it's a better device (although he doesn't think it's lesser, either). All things considered, it seems like the Epic 4G is a winner, even compared to the other Galaxy S devices. The addition of a rear flash and an expansive, quality keyboard give it an edge that even a lackluster TouchWiz UI can't kill.